It is also worth remembering that there is a big difference in saying that one *might* be prepared to pay and actually *paying* when the time comes. 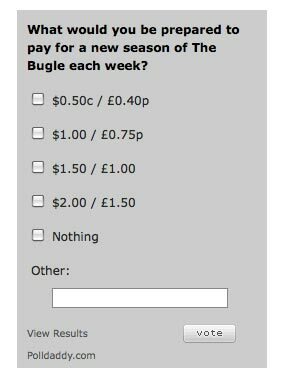 Online newspaper readers who participate in this type of poll have a level of sympathy for and awareness of the financial situation for the title and would be more likely to give what I would call a sympathy vote for payment. As with so many sympathy votes it likely wont translate into actual payment.